Microsoft's Build conference is always full of news about Windows, Office, Xbox, and other Microsoft products, and Build 2016 was no exception. We got a look at the newest Windows 10 update coming this summer, new features for the Xbox One, and updates the Windows Store. Here's the best new stuff we saw. This summer, Microsoft will release a major update to Windows 10 that's being affectionately called the Anniversary Update. It'll be free for anyone currently Windows 10, and users in the Windows Insider program can download the new builds and try them out today. The Anniversary update includes a ton of improvements and new features, which we'll go through one by one. Fingerprint support is all the rage these days, but mostly on mobile devices. Microsoft got into the game in Windows 10 with Windows Hello, which allows you to use your fingerprint to log into your devices. 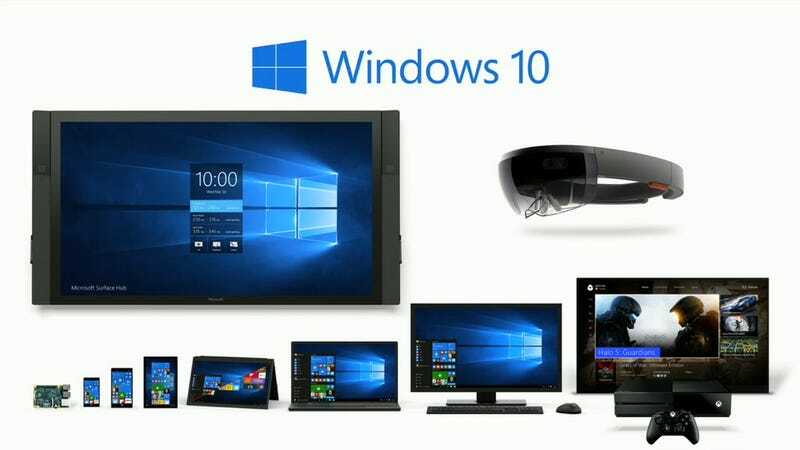 Now, Windows 10 will allow developers to integrate that same authentication in their own apps and websites. If a developer supports Windows Hello (and if your device has a fingerprint scanner), you'll be able to login to your email, Microsoft account, or other web service without entering a password and just by using a supported fingerprint reader. Half the problem with styluses on computers is the lack of software that supports them. In the Anniversary Update, Windows 10 will get more support for pen tools. Microsoft's new Ink Workspace will let you create sketches, write sticky notes, annotate screenshots, and find pen-enabled apps. Microsoft is also offering new APIs for developers to add pen-related features to their apps. One of the most interesting is a virtual ruler that users can rotate and move around freely to make drawing on-screen easier, and some auto-alignment and adjustment tools to make everything from highlighting text fall into place to drawing charts neat and tidy. Any lines drawn along the edge of the ruler will be kept perfectly straight. Microsoft has already added support for this tool to several apps including Office, but developers can add it to their own apps with just a couple lines of code. This should make stylus-friendly apps much easier to come by. Users of Unix-style operating systems like Linux and OS X are probably familiar with the Bash shell—it rules your command-line life. Now, Microsoft has partnered with Canonical—the company that maintains Ubuntu—to bring the Bash shell to Windows. For developers, tweakers, and people who use multiple platforms, this is huge. Now, you can use the same commands that you're familiar with on OS X and Linux distros inside Windows, and that includes everything from file management to app development and installation. This also opens up fans of the command line to a whole host of new tricks that aren't available in the DOS-style command line. 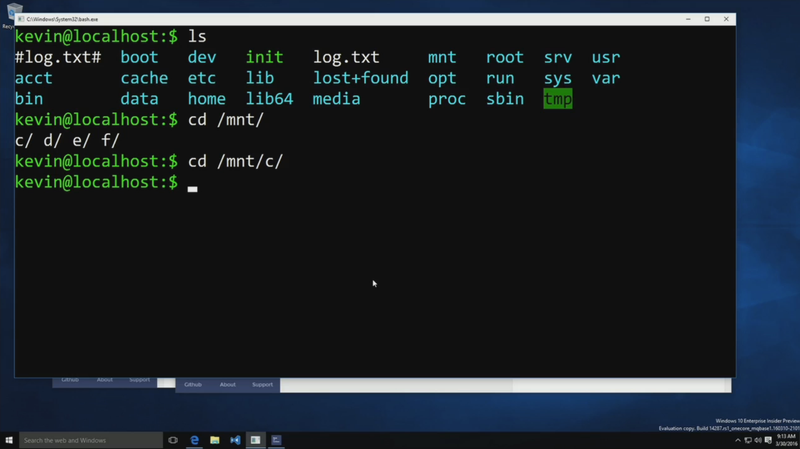 Microsoft points out that this isn't an emulator or virtualized app, but Bash is running natively directly in Windows. So far in Windows 10, the Store has been a bit of an oddball. There are some modern apps that are worth using, but most developers haven't brought their apps to the Store yet. 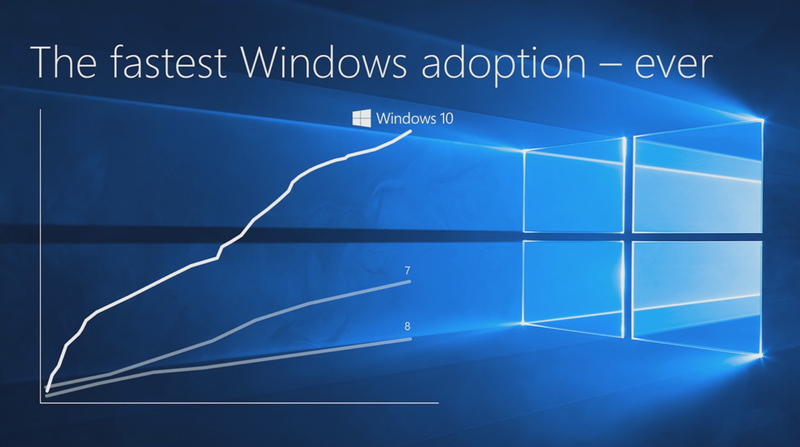 Now, Microsoft's making that much easier with a simple app converter. Developers can run old win32 apps to make them compatible with the Windows Store very quickly. To demonstrate this, Microsoft showed off Age of Empires II, a very old but classic game, running as a native Windows 10 modern app. This app was the same one that's available on Steam, just run through the converter. That was the only step necessary to make it a modern app, compatible with the Windows Store. Microsoft demoed the same thing for The Witcher 3, live on stage, turning it into a full-screen modern experience. This is already pretty huge, and developers now have an alternative, more curated store from which to sell their games to consumers. Additionally, Microsoft announced that it will unify the Windows Store with the app store on Xbox One, which brings desktop modern apps to the Xbox (if they're supported.) A user can flip a simple switch to turn their Xbox One into a dev kit, and developers can use this to optimize their apps to play on Xbox One. This applies to not just games, but any universal Windows app. 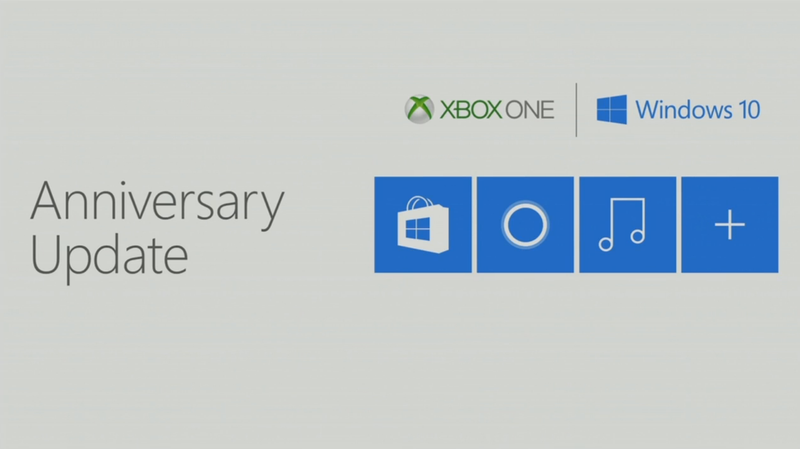 Since Microsoft is unifying the Store across both platforms, that means on Windows, developers will also have support for features like bundles, pre-orders, and season passes that were previously exclusive to Xbox. The Windows Store is quickly setting itself up as a Steam competitor that's not just for games. In the newest Windows 10 update, you'll be able to use Cortana right from the login screen without logging in (minus the personalization, of course). Cortana is also getting smarter, integrating everything it knows about you across all of Microsoft's products. For example, Microsoft demoed a user asking the question "what toy store did I visit last year at Build?" Cortana recognized that "Build" is the calendar event Build 2015, and checks the user's location history during that time frame last year for any toy stores they were in or near. 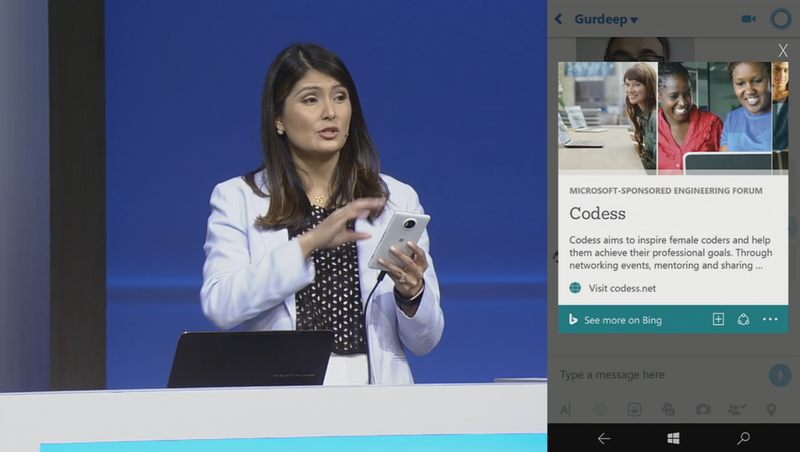 Microsoft is also opening Cortana up to other developers, so they can add features that integrate with the assistant. For example, Microsoft demoed the Just Eat app, which can optionally offer to send meals if you have a meeting during lunch. Developers won't receive information about you that Cortana has collected unless you allow it, of course. Microsoft's artificial intelligence plans don't end with Cortana. The company also introduced tools that let developers build powerful chat bots. For example, Domino's was on hand to demo a bot that could take natural-language orders for pizza and pass that info along to your local store. These chat bots can also talk with Cortana. In the Skype app, Cortana was able to open conversations with third-party bots that can ask for specific information. 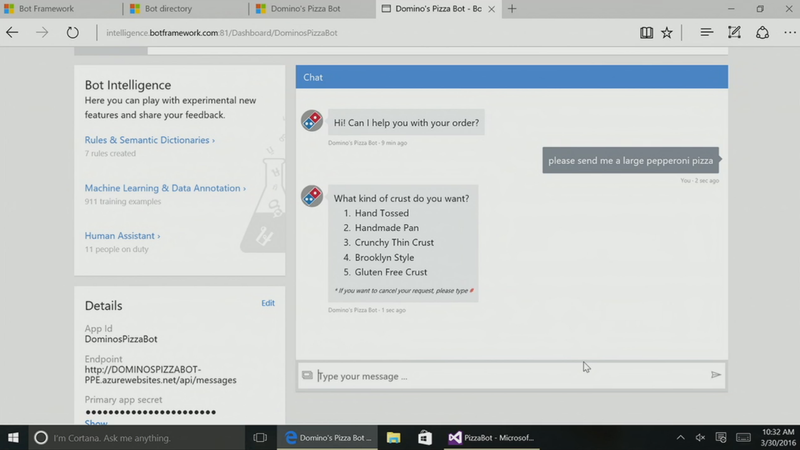 For example, one app called Cups and Cakes notified Cortana that it has a delivery. Cortana then asks the user if she's okay with sharing her location. The location isn't shared with the third-party app until the user gives Cortana permission to share it. In the same conversation, Microsoft demoed how booking an event could work. First, they told Cortana to add an event to their calendar. Cortana then proactively suggested they may want to book a hotel room and asks if she can add a third-party bot to book the hotel room. The user can then confirm or deny this request. In this case, the Westin bot was added to the conversation and helped the user find a hotel room and book it. There may be some privacy concerns when your personal assistant starts chatting with third-party bots, but we'll have to see how it works in practice. 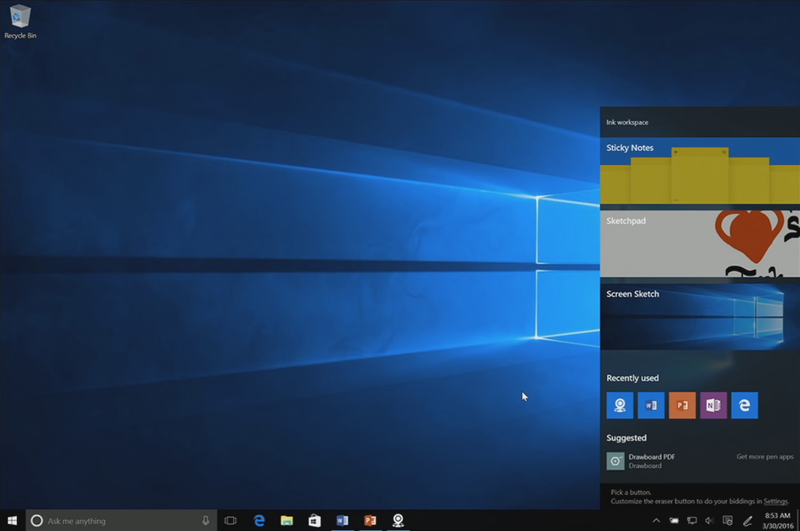 There are likely more new things hiding under the surface for the new Windows 10 update. We'll poke around in the anniversary update as soon as it rolls out to Insiders to cover all the things Microsoft didn't get around to announcing.